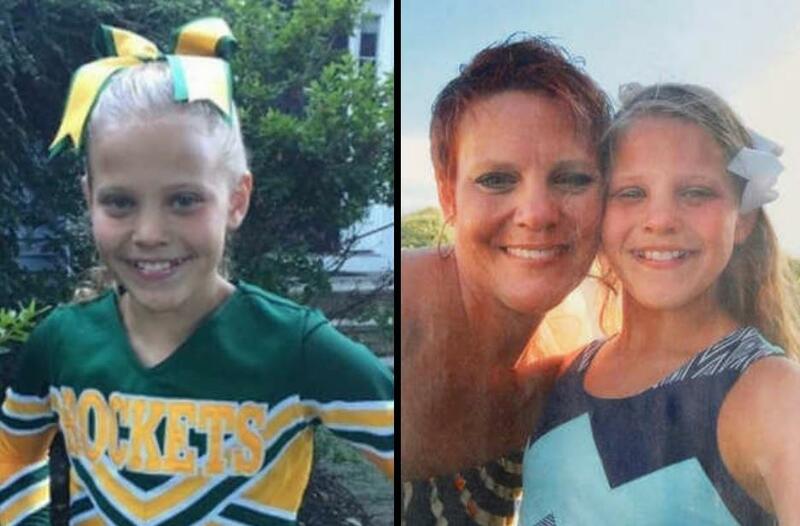 A lawsuit filed against a New Jersey school district by the parents of a 12-year-old girl who killed herself revealed she was forced to hug at least one of her tormentors. Mallory Grossman was bullied to the point that she took her own life last June and now her parents have filed a wrongful death lawsuit against the Rockaway Township Board of Education. Grossman's parents allege the school officials did not do enough to protect their daughter who was relentlessly taunted in the weeks leading up to her suicide June 14, 2017. Snapchat messages from bullies said, "When are you going to kill yourself?" "You have no friends," "fat," "jiggly," and "poor Mal" to name a few. Mallory's mother, Diane Grossman, said she and her husband repeatedly asked school officials to tell them if Mallory was bullied. The family says that the school officials failed to enact policies to comply with the state's anti-bullying statute. The family's lawsuit also says the school's response wasn't just inadequate but they also advised them not to file a formal complaint under the law. The school's solution to the bullying was to have Mallory eat lunch in a guidance counselor's office to avoid the other children who were bullying her. She was also allegedly forced to hug one of her tormentors by school officials in an attempt at reconciliation. The Grossman family's attorney Bruce Nagel said, "The school had a very basic obligation: to keep its young students safe." Diane Grossman said, "I really want schools to understand the gravity of what has happened. Mallory is not a 2-minute news story. She is our daughter and she's forever gone. Our family is forever changed because they chose not to put systems in place, they chose not to protect her, so I want other school systems to learn from this and to start making immediate changes within their buildings." Diane Grossman added that the children who bullied Mallory have not even been punished. "We know that the poor behavior and poor decisions these kids make has not changed," Dianne Grossman said. "They do not believe ultimately that they are responsible for it. At this stage, we have not brought a lawsuit against the four families whose children bullied Mallory." They did warn the four bully's families of possible legal action. Diane Grossman has become an anti-bullying advocate and created a <a href="https://www.gofundme.com/memorial-for-mallorey">GoFundMe campaign</a> to raise money for a memorial for Mallory. With respect, you must not live in New Jersey or know anything about the PC culture in the public schools here. I agree that kids should be able to fight back, but God forbid they try to do it here. They will be the ones punished, not the tormentors. Don't get angry, get legal. Surly some Brentwood lawyer could get $20m in damages.